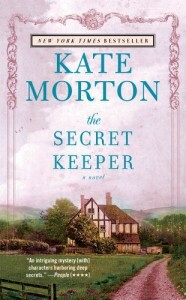 This was my favourite Kate Morton book so far. I was pretty sure I'd figured it out by about 75% through, but had I? Hmmm, it took a while to get he answer! There were some great subtle nuances that made this book lovely in many places and some characters that didn't turn out as I would have guessed. It's hard to say anything too involved, so as not to give anything away! All in all, this is far from Pulitzer quality literature, but it is a great summer read that I heartily recommend!